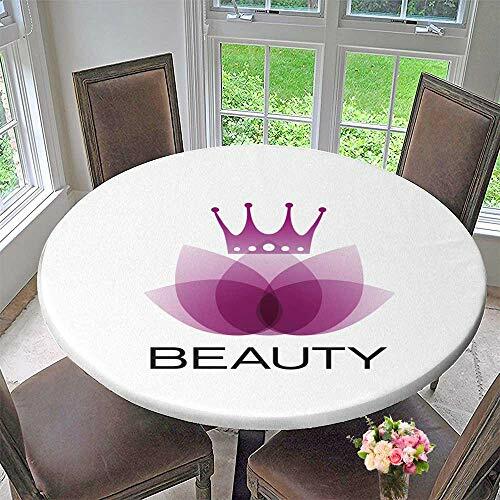 PINAFORE HOME The Round Table Cloth Vector Sign Purple Leaves and Crown spa Yoga and Relax Concept for Birthday Party, Graduation Party 43.5''-47.5'' Round (Elastic Edge) by PINAFORE HOME at My Natures Treasures. MPN: SBYZB-DL-wqq-14471D120xD120. Hurry! Limited time offer. Offer valid only while supplies last. This is a retro and elegant tablecloth, making your dining table unique. Gorgeous patterns, relaxed dining atmosphere, it is worthy for you. If you have any questions about this product by PINAFORE HOME, contact us by completing and submitting the form below. If you are looking for a specif part number, please include it with your message.